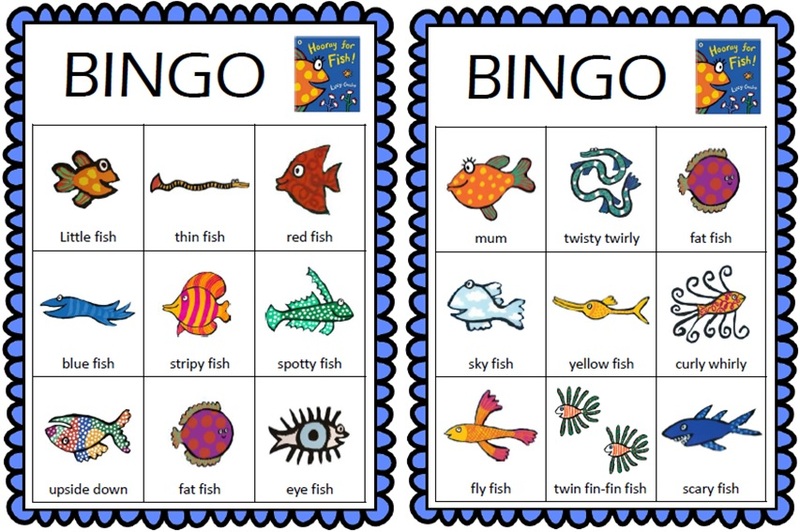 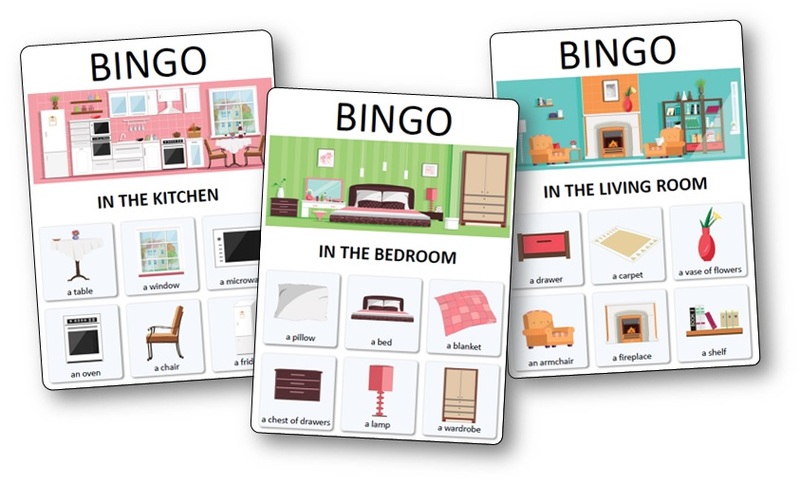 We have created a fun bingo game to help kids to reinforce new vocabulary, spelling and memorizing. 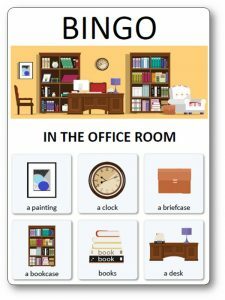 This printable bingo game with flashcards is fun and educational to revise furniture and the five main rooms of the house : living room, office room, kitchen, bedroom and bathroom. 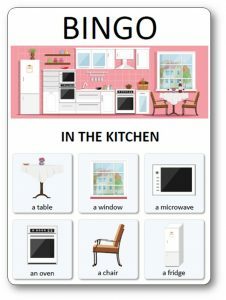 There are 30 bingo cards here for our house and furniture bingo game – perfect for a large class or group. 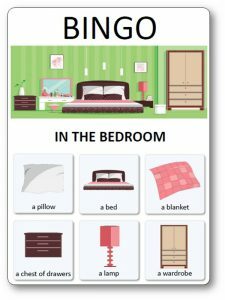 great!!!!!! 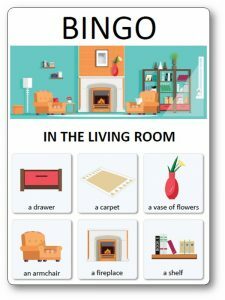 I love it from Argentina! 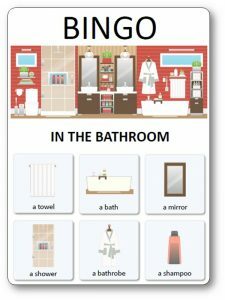 I need a description for this game as detailed as possible.